A hands-on baking class. Class is limited to 12 students. A seasonal salad will accompany the galettes for dinner, served with wine and beer. Rustic and refined, galettes are a reliable addition to any home cook's repertoire. You can whip them out for any meal, for yourself or when entertaining guests. 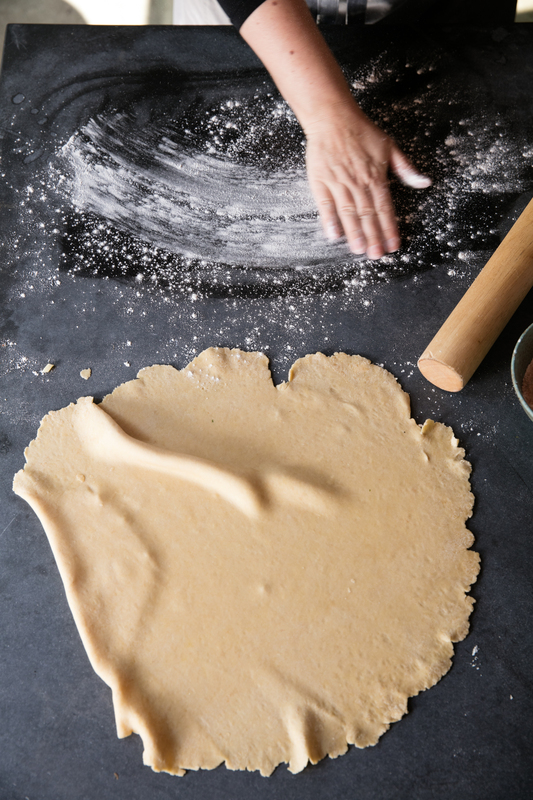 Under Jennifer's guidance, you'll learn how to make tender, crisp and flaky pie dough. We'll work with fruits and vegetables available to us now, and talk about strategies to approach produce of other seasons (a galette is a wonderful blank canvas for whatever is left in your fridge or what looked good at the market). Lastly, we'll pop these in a very hot oven and learn how to properly bake them to a golden brown (and prevent the dreaded soggy bottom!). Add a hearty salad, and a glass of whatever-floats-your-boat, et voila! A delicious meal is made.